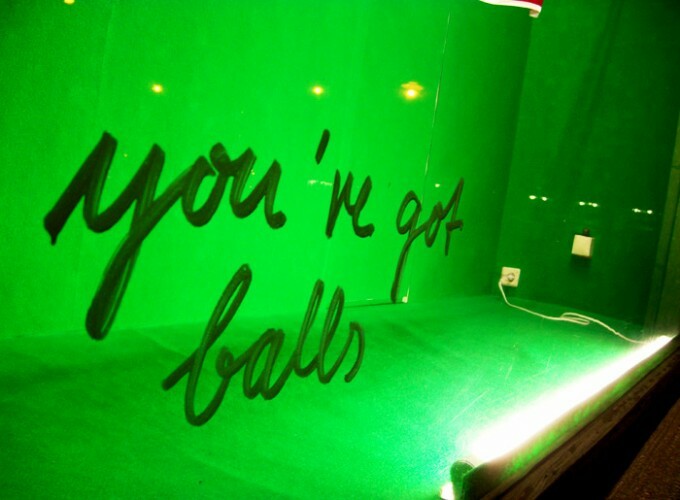 Really King Size – You´ve got balls! 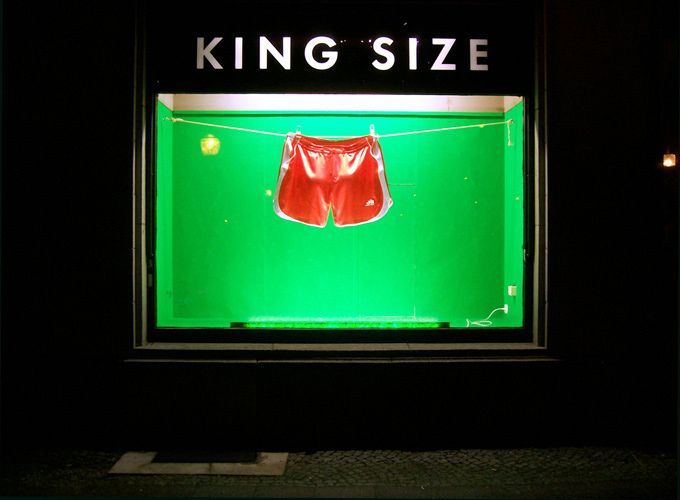 was built in February 2012 for the KingSize galerie exhibition series and shown in the display window next to cafè Cantona – a place where often football games are featured. The installation was realized in collaboration with Christine Malze, who made the shorts.